Build on your vision for the perfect bathroom by making the Balto 3 Door 1 Drawer Double Tall Boy Bathroom Storage Cabinet a new part of it. Instantly attractive to the eye, this cabinet features 4 glass shelves for your convenience and a non-porous and sealed finish. 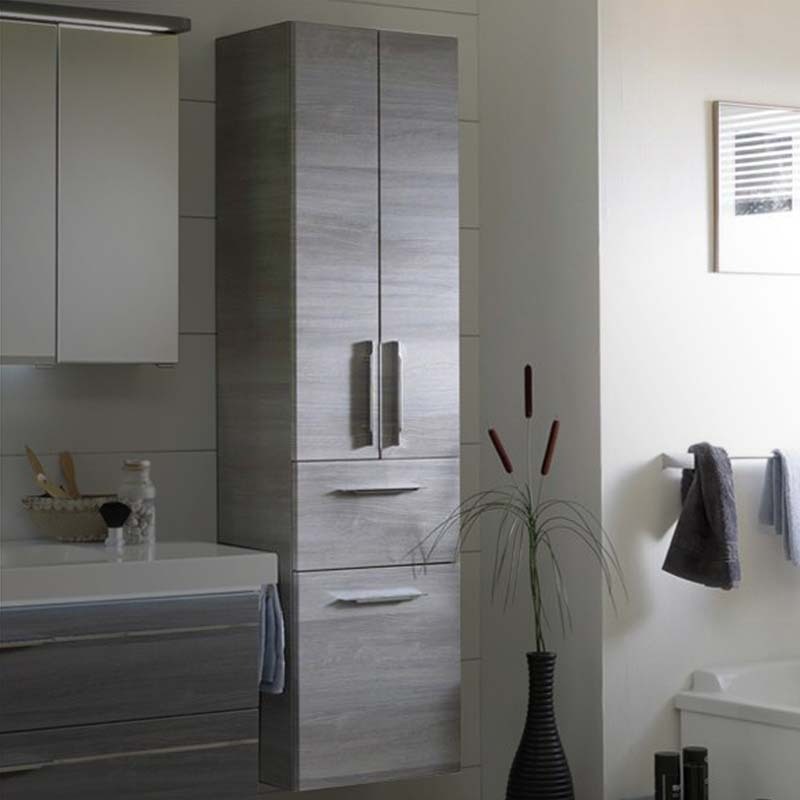 The result of expert German craftsmanship, this is a stylish and practical boost to your bathroom.